Aloe Vera Gel is a miracle cure for skin and hair. For the skin it serves as an effective, all-natural cell regenerator that regulates the balance of the skin. It acts directly on the tissue, nourishes it and improves its firmness by activating the skin’s characteristic synthesis of collagen and elastin. Its conductivity allows access to the deepest layers of the epidermis, which, together with its restructuring properties, makes it an aid in alleviating skin diseases and controlling sebum production. It is ideal for maintaining general skin health or combating acne. Used as an after-sun, it softens the skin and prolongs the tan. Organic Aloe Vera Gel is applied directly to the skin. It can also be enriched with moisturizing oil, such as argan oil, to care for the skin even better. This is recommended for people over 30. Aloe Vera can be combined with any type of oil or moisturizer to penetrate the skin better or used as a base for peelings and masks. Organic Aloe Vera Gel for external use can be used by people of all ages, including children, babies and pregnant women. For external application on the skin, shake the gel well before each use. 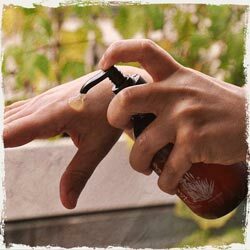 Apply Aloe Vera Gel to clean and dry skin and massage in gently. Beautiful, well-groomed hair right up to the tips requires suitable care products with high-quality ingredients in order to be and stay healthy. 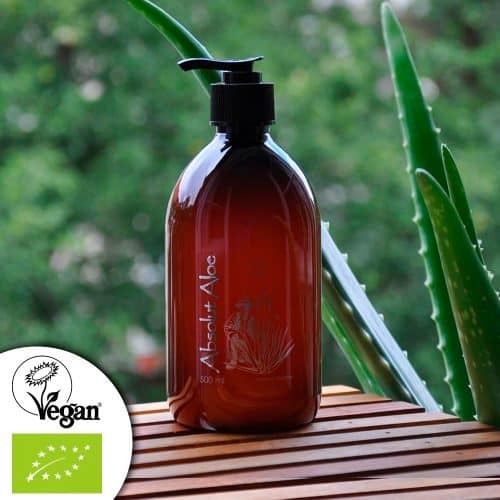 For hair and scalp, Aloe Vera has two main properties: it moisturises and revitalises the hair, making it soft and supple and giving it new shine. Aloe vera also promotes blood circulation to the scalp. This strengthens the hair roots and supports hair growth. At the same time it reduces dandruff and itching in a gentle and natural way. Aloe Vera can be used pure or in combination with e.g. Argan oil for the hair. It can be used as a basis for cures or leave-in conditioners. There are many inspirations for its use! 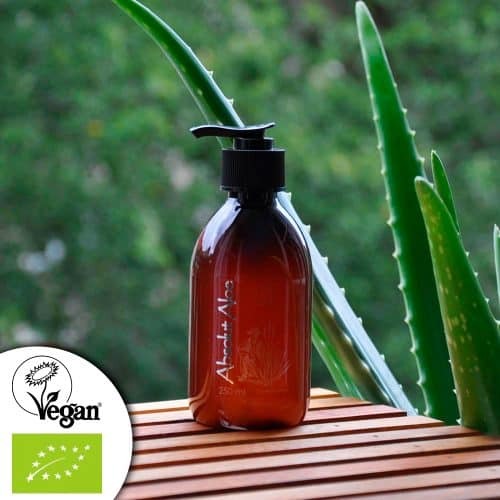 As a leave-in conditioner, massage the Aloe Vera Gel into the moist hair tips or the entire hair after shampooing. A rinse is not necessary. It can also be used as an intensive hair mask (once a week). To do this, massage the gel into all dry or damp hair and wrap the hair in a towel. Leave on for at least half an hour or better overnight and then wash as usual. For an even more intensive effect as a leave-in conditioner or as a cure, Aloe Vera Gel can also be mixed with a few drops of argan oil. For scalp application, massage the gel thoroughly into the scalp. Aloe vera contains more than 160 active ingredients such as vitamins, minerals, trace elements anthraquinones, monosaccharides, polysaccharides, enzymes, secondary plant substances and amino acids. The multitude and the unique composition of these valuable ingredients make Aloe Vera a special support for health, vitality and well-being. Areas of application: Aloe Vera juice for internal use regenerates the intestinal flora, regulates digestion and calms the mucous membranes. This strengthens the natural function of the intestine and promotes an increased absorption of vital substances. It strengthens the immune system and the immune system, stimulates the metabolism, detoxifies the organism and can have a positive effect on inflammatory processes. 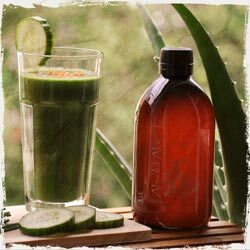 Take 3 times daily 30 ml Aloe Vera juice with meals diluted with water or juice or use as an ingredient for smoothies.